Are you struggling with driving traffic to your website? Search Engine Optimization is the single most important factor when generating online traffic and increasing sales on your website. Like many other independent business owners, you are probably reading this because you made the big decision to promote your products or services online. You will soon come to realize that having an on line presence alone will not drive sales through the roof—in fact, by launching your website, you are now competing against countless others who are offering the same products and services that you are. As a small fish in a big pond, you need to make your business stand out from the rest. You know there is a market for what you are selling, but how will your market know that, when they can’t find you? 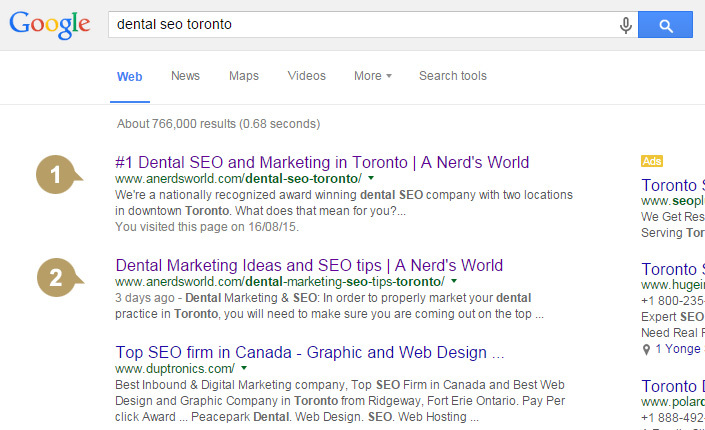 You will notice the majority of top companies show up on the first page of a search engine’s results when relevant keywords are entered into a query such as 'Dental SEO Toronto'. This is where the Nerds comes into play. 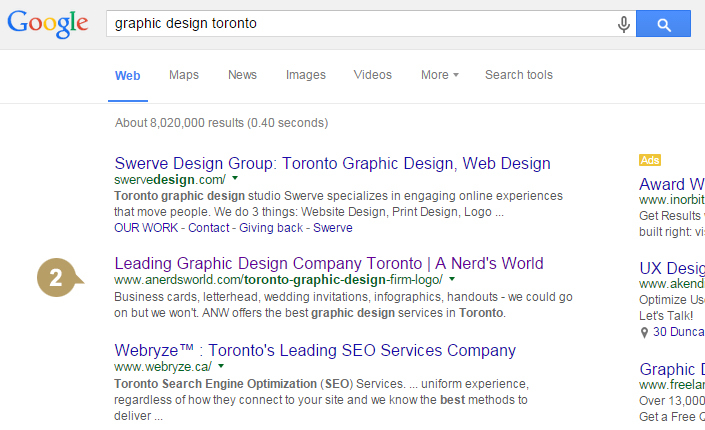 We are responsible for the SEO company Toronto! Search Engine Optimization is the most efficient, powerful and cost-effective way to increase organic traffic on your website. Furthermore, SEO tends to increase brand’s credibility as your website would be listed above others on all major search engines. 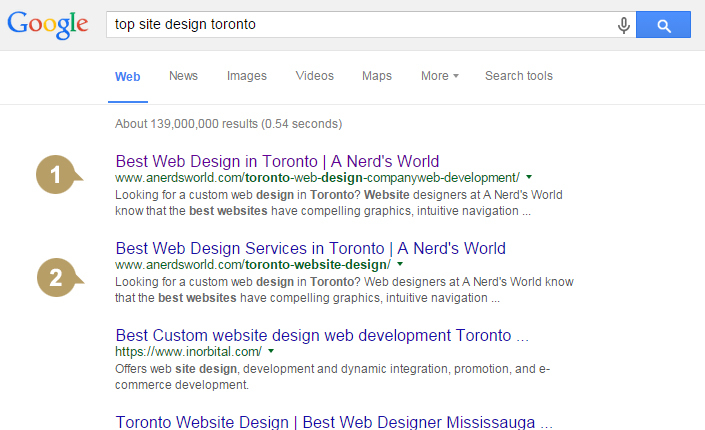 Does your website currently rank high on Google? 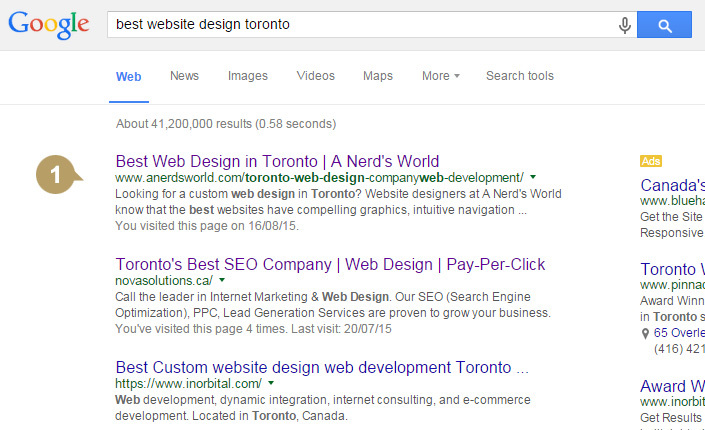 We are currently ranking front page with multiple terms and hundreds of keywords. Imagine what we can do for your business. 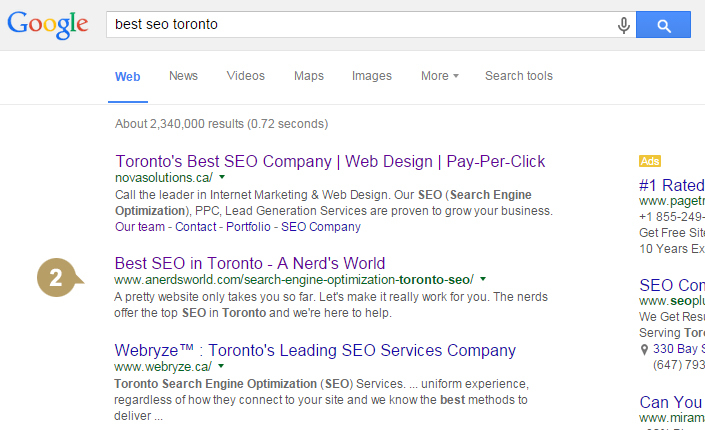 The success of your business depends on SEO - contact a nerd today! Honest, tried and true methods that guarantee the success of your website. Don't get lost in the shadows, stand up! Have a question? Don't worry, we're here for you - just about every hour of every day. Drop us a line and we'll help. It's a numbers game and statistics analysis is at the core of what we do. We help you to understand how it all works. Have questions regarding the need for social media integration within your SEO game plan? Let us help. Our collection of in-house nerds are ready to take on any SEO project thrown our way. Simply put, we breathe statistics. SEO isn't about flash in the pan results, it's about the long term success of your website. We have you covered. Looking to take your existing or new business to the next level? The first step is a great brand. 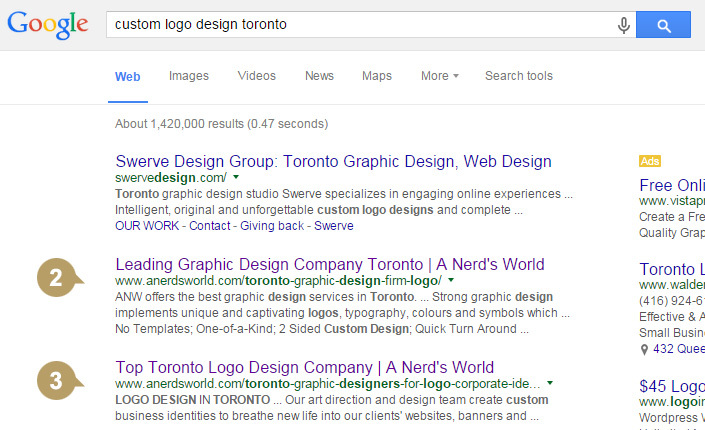 Take a look at the top logo design in Toronto!